A waitress walks into a bar . . .
​and becomes a nationally recognized food maven.  Nancy Leson is an award-winning food writer, radio personality, cooking instructor and public speaker who learned much of what she knows about food during her first career: waiting tables. Readers embraced her for nearly two decades as the restaurant critic and food columnist for The Seattle Times. Today she conjures recipes and rejoinders as Food for Thought on Seattle/Tacoma NPR affiliate KNKX. A popular emcee, she's also hosted international food tours for Earthbound Expeditions and teaches cooking classes at PCC Cooks and other culinary schools throughout the Seattle area. She lives 15 miles north of the Space Needle with her husband and a couple of (absurdly) well-fed dogs.